Irritable Bowel Syndrome (IBS) is a health condition that affects a staggering 1 out of 10 adults around the world. 1 IBS is a complicated condition to treat: there are a number of risk factors associated with the illness and diagnosing the root cause of the condition can be challenging. Over the last few years, scientists have been to focus more and more energy on the gut microbiome in the etiology of IBS and many other health conditions. Our microbiome is the complex combination of bacteria that live in our gut and provide protection from other microorganisms, aid our immune system, assist in digestion and absorption of nutrients, and generally help us maintain a healthy gastrointestinal system. A growing body of literature has found that imbalances in our gut flora can have dramatic effects on our health, including irritable bowel syndrome. A recent study from Greece set out to determine if probiotic supplementation could help with IBS symptoms in patients with small intestine bacterial overgrowth (SIBO). In this article, the researchers specifically looked at probiotics with the “four species of probiotics (Saccharomyces boulardii, Bifidobacterium lactis BB-12, Lactobacillus acidophilus LA-5, and Lactobacillus plantarum)”. The study included 33 patients, 6 with SIBO and 27 without. 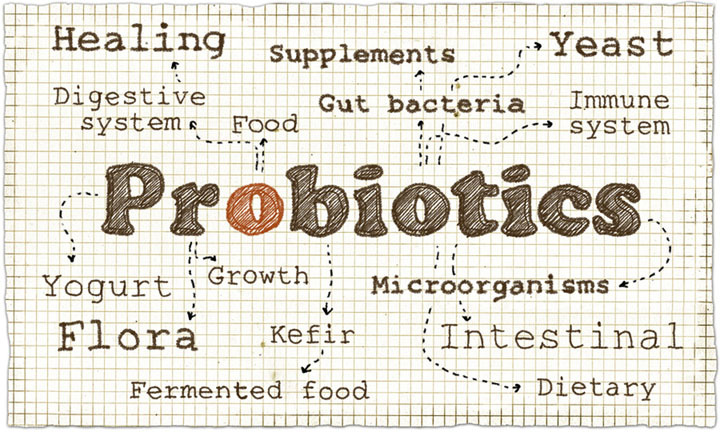 Each subject took a probiotic capsule every 12 hours for 30 days. The patients were evaluated at the end of the study and again 30 days afterwards. The authors found that the patients with SIBO had a 71% decrease in their IBS score, while those patients without SIBO had only a 10.6% improvement. This study has some limitations. First, it was a very small, prospective study with just a few test subjects. Second, each of us has a very different gut flora profile, so we’re unable to tell at this point the exact role of each bacteria and how they interact, especially when combined with environment and genetics. Clearly, more research needs to be done, but this study shows that IBS patients with SIBO might benefit from probiotic supplementation. Cananvan C, West J, Card T. The epidemiology of irritable bowel syndrome. Clinical Epidemiology 2014; 6: 71–80. doi: 10.2147/CLEP.S40245.